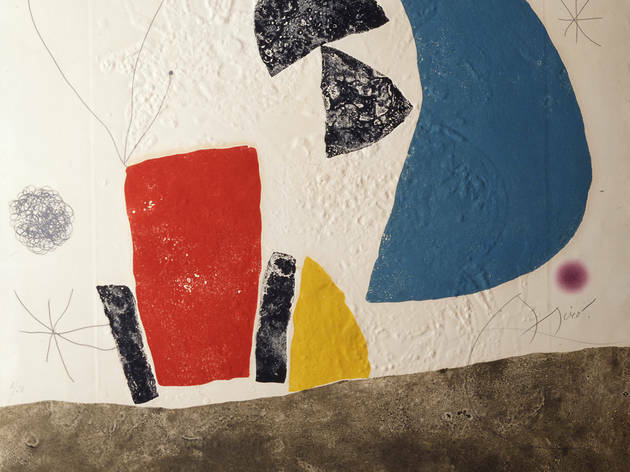 In 1975 the Joan Gaspar Gallery took a folder of poems by Salvador Espiru and etchings by Joan Miró and edited them into a book, which contained two sections. In the first were poems and five etchings. 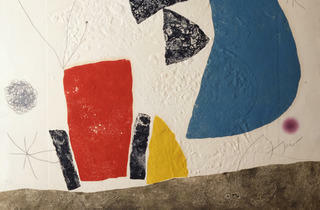 In the second, a text inspired by the painting 'Predicat des d'una pintura de Joan Miró', along with three etchings. The exhibition shows the complete series of nine engravings.